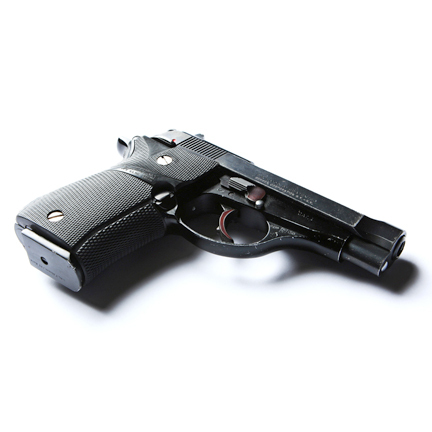 This Beretta pistol was used by the character "Tony Montana" portrayed by legendary actor Al Pacino in the 1983 motion picture “Scarface” directed by Brian De Palma. This was Montana’s primary sidearm used throughout the film, and along with the “Little Friend” grenade launcher is one of the most iconic screen used weapons in cinematic history. “Scarface” is considered to be one of the most iconic gangster films of all time, and this Beretta was Pacino’s signature weapon used in multiple key sequences in the film and was integral to his character’s distinctive look and style. 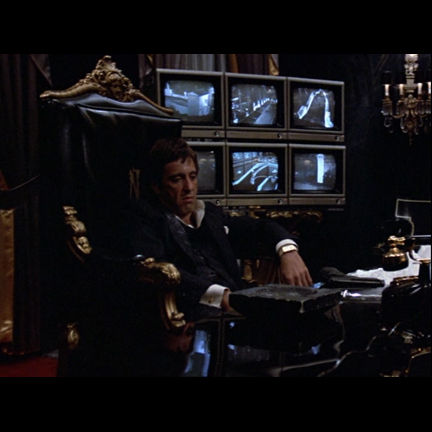 Screen used props from “Scarface” are extremely rare due to the amount of damage that occurred while filming the movie’s numerous stunt and action sequences as well as their use on later productions, making this one of the most valuable historical artifacts from the film still in existence. The left side of the gun is engraved with the serial # D87016W and the weapon is in good overall condition with some minor scratches and wear caused by its repeated use in numerous action scenes from the film and on subsequent productions. 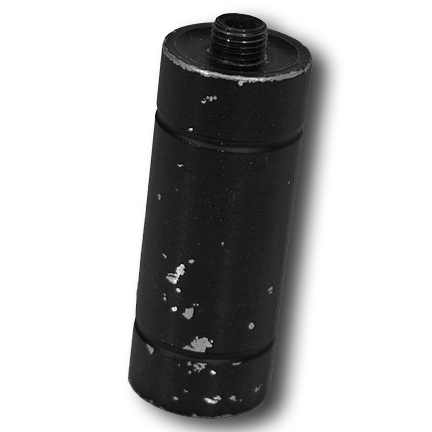 The black Pachmeyr grips have been replaced with a newer identical version as the original pair was switched out a number of years ago for use on another production. 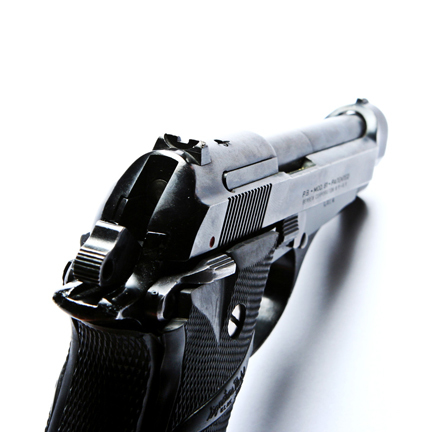 The gun has been modified to fire blank rounds only. Also included with the gun is the custom made silencer used with the Beretta in several other pivotal scenes of the film. 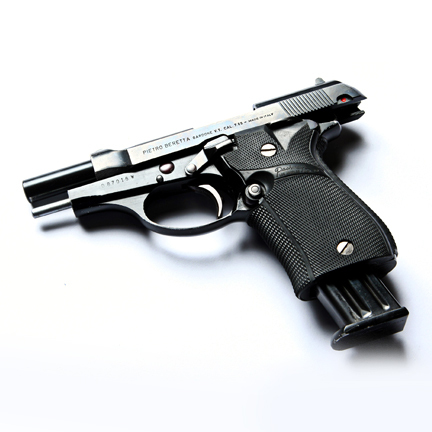 This Beretta was one of only three principal “Tony Montana” Beretta pistols rented to the production. 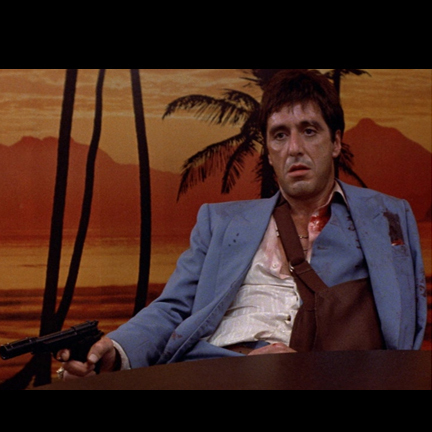 One of the guns was lost, damaged, or destroyed following its use on the production, and only one other authentic “Tony Montana” pistol is still in existence. All three guns appeared onscreen at various times, and this specific weapon was rented to the production from November 12, 1982 to May 9, 1983. 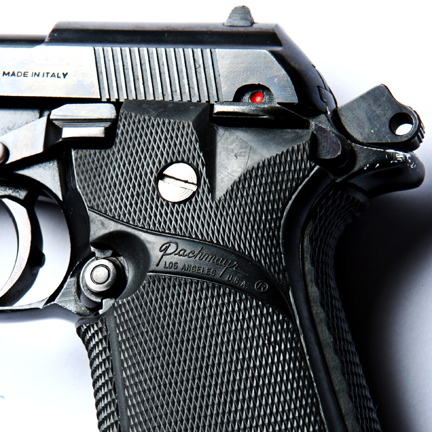 The Beretta was used in multiple scenes throughout the film including the botched cocaine deal that initiates Tony’s rise to power, and during the later firefight that takes place in the Babylon Club. 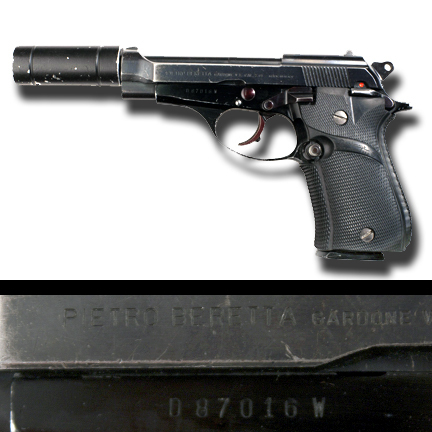 The Beretta was used with the custom-made silencer in the subsequent sequence when Tony confronts and then executes his former boss “Frank Lopez” (played by Robert Loggia) for double-crossing him. Tony also brandished or wore the Beretta in either his waistband or shoulder holster in several other important sequences throughout the movie, and the gun last appeared on screen on the desk of his study just before the climactic final gunfight sequence. Some pivotal scenes where the Beretta is not seen but clearly implied include when Tony shoots Sosa’s hit man inside of their car to prevent the murder of a journalist’s wife and children, and also when Tony mistakenly murders his best friend "Manny" (Steven Bauer) for sleeping with his sister "Gina" (Mary Elizabeth Mastrantonio), unaware that the two had been lawfully married the day before. 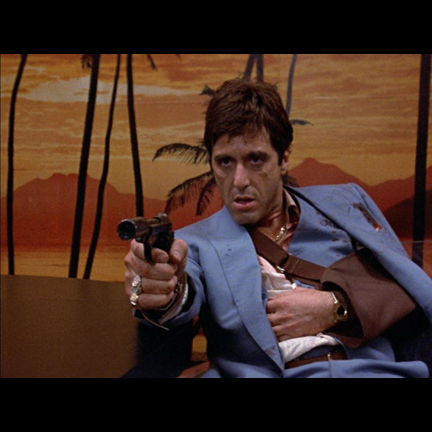 Screenwriter Oliver Stone felt that the Beretta was integral to the character's image, and a specific reference to Tony's Beretta or "Baretta" (sic) appears on page 158 of the assistant property master’s working production script describing Manny’s death scene. The assistant property master circled “Baretta” (sic) in red ink to be sure that exact gun was the one to be used by Mr. Pacino in the film. A scan of the script page and a signed certificate from the film’s weapons specialist who oversaw its use during filming are included in the sale.